Thirty years ago Wizardry: Proving Grounds of the Mad Overlord was released. 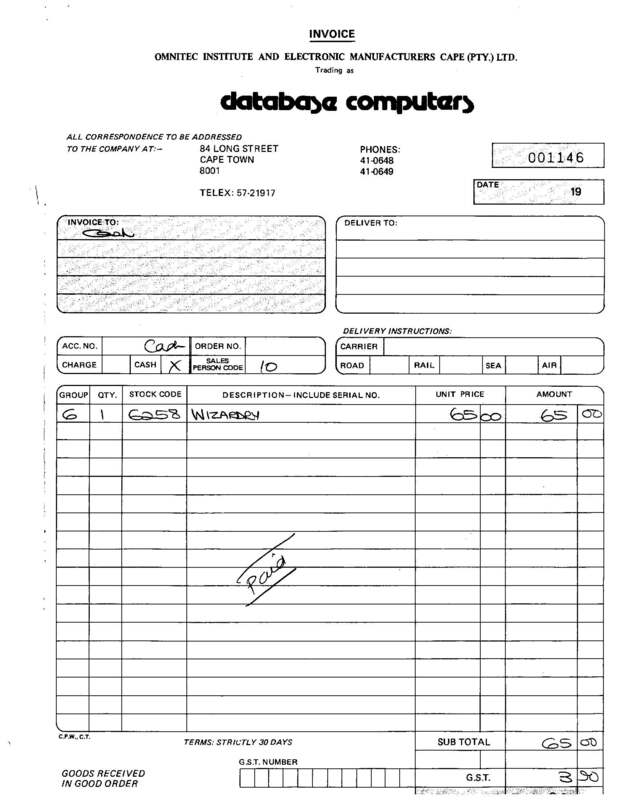 I bought my copy soon after that — unfortunately the invoice is not dated. (incidentally, R65 was a lot of money back in 1981). After Proving Grounds it was Knight of Diamonds and Legacy of Llylgamyn after which… life happened. I went to varsity, didn’t quite yet discover girls, but… pretty much stopped spending endless hours on computer games. Yet I’m still a retrogeek, and I follow various retro websites. Wizardry is now available on iOS. And it’s thirty years better. If there’s a reason for me to get an iDevice, this is it.